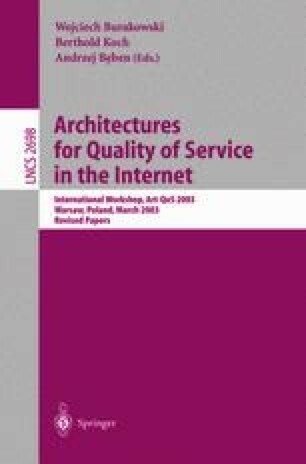 This paper describes an architecture for differentiation of Quality of Service in heterogeneous wireless-wired networks. This architecture applies an “all-IP” paradigm, with embedded mobility of users. The architecture allows for multiple types of access networks, and enables user roaming between different operator domains. The architecture is able to provide quality of service per-user and per-service An integrated service and resource management approach is presented based on the cooperative association between Quality of Service Brokers and Authentication, Authorisation, Accounting and Charging systems. The different phases of QoS-operation are discussed. The overall QoS concepts are presented with some relevant enhancements that address specifically voice services. In particular, EF simulations results are discussed in this context.